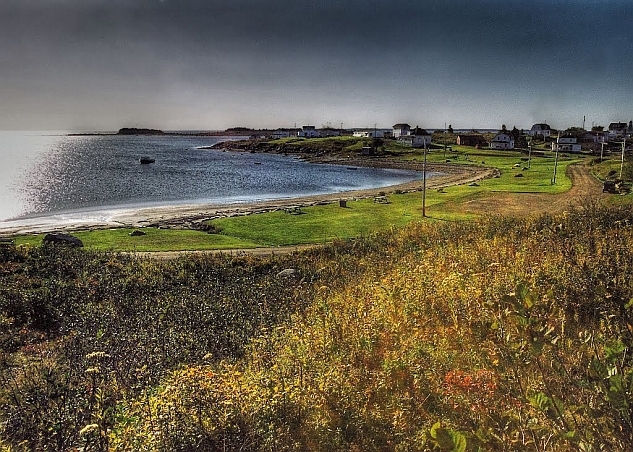 Charlos Cove was settled about 1760 and named after one of the first Acadian settlers, Charles Richard. Other village pioneers were Joseph Richard, Oliver Fleming and John Evory (Avery). Charles Richard was a descendent of Michel Richard, who first came to Acadia in 1652 from Saintonage, France and settled in Belleisle, along the Annapolis River. 100 years later, as war between France and England neared, the British authorities demanded that the Acadians renounce their faith and swear allegiance to the Crown. The Acadians, holding steadfastly true to their faith and to their heritage, refused, thus resulting in their mass exile from Nova Scotia, their first home in the New World. The migration of the French Acadians was miserable. It was through their inner strength and determination that many families survived the journey and resettled their families. During the Expulsion of the Acadians, the inhabitants of the various settlements were rounded up, loaded onto boats and shipped off through to the end of December 1755. A number of Acadians in trying to avoid deportation, ran into the woods seeking refuge throughout Nova Scotia, New Brunswick and Prince Edward Island. For many Acadians this was a waste of time and effort, since Acadian settlers continued to be deported until 1763. When they were discovered along the coasts or apprehended by English troops, they were either loaded into boats leaving for the American Colonies, England or France. Some did not leave Nova Scotia, but were kept prisoner in Halifax and forced to work on the fortifications. Charles Richard was a prisoner of the British, having had discovered that their land was now occupied by the English, forced them to settle elsewhere. The Acadians were denied the right to settle on their former lands. Faced with this situation and acting on their desire to get as far away from their enemies as possible, the Acadians chose to settle in remote areas such as Charlos Cove. Their ultimate goals were to create a country in which their values would be preserved without interference. The British authorities had them scatter in small groups. Therefore they sought solutions to their problems within their own group although they did receive significant support from the international French community. Their priests were generally missionaries rather than residents. They had few schools and often the teachers were itinerant school masters who dispensed their meager store of learning from people's homes. The Acadians had no newspapers, lawyers, doctors, institutions of a higher learning, or a middle class. Charles Richard petitioned for land about 1799. Other village pioneers, Joseph Richard, Oliver Fleming and John Avery also petitioned for land. A survey dated May 20th, 1800 shows houses and buildings belonging to them on ungranted land. In 1809, a survey of land was made for Joseph Richard Sr., Oliver Fleming, Joseph Richard, Jr. and the heirs of John Avery. The early Acadians depended on one another and the Míqmaq to survive the hardships of the winters. The early Acadians depended on the sea for their transportation and livelihood. Charlos Cove was a fishing community, the centre of which is St. Joseph's Roman Catholic Church, which the families built in 1876. The families involved in building the church were…..(Henry Linden……). The first schoolhouse was built in 1879. There was a new 2 room school built in 1920, and the old schoolhouse was completely renovated and is now used as a parish hall. Henry Linden was the first Postmaster of the Postal way office which was established on July 1st, 1889. Charles Richard, one of the first Acadian settlers, came to Charlos Cove about 1760. Charles Richard was a fifth generation grandson of Michel Richard, who first came to Acadia in 1652 from Sointonge, France and settled in Belleisle, along the Annapolis River. Joseph Richard, Oliver Fleming and John Avery were also early settlers in Charlos Cove. After the expulsion of the Acadian in 1755 from Nova Scotia, many of the Acadian were deported throughout North America and Europe. When they were discovered along the coasts or apprehended by English troops, they were either loaded into boats leaving for the American colonies, England or France. Some did not leave Nova Scotia, but were kept prisoner in Halifax and forced to work on the fortifications. Charles Richard was a prisoner of the British. In 1763 he, along with others, were allowed to return to Nova Scotia. When he realized that their land had been taken over by the English, he wanted to get as far away from the enemies as possible. So the Acadians chose to settle in remote areas such as Charlos Cove. Their ultimate goals were to create a country in which their values would be preserved without interference. The British had them separated in small groups, so they stayed close and helped each other with their problems. Their priests were usually missionaries rather than residents. They had few schools, so the teachers would go from community to community and teach in people's homes. The Acadians had no newspapers, lawyers, doctors, schools or a middle class. Charles Richard, Joseph Richard, Oliver Fleming and John Avery petitioned for land in 1799. A survey dated May 20th 1800 shows houses and buildings to these men were on ungranted land. In 1809 a survey of land was made for Joseph Richard Sr., Oliver Fleming, Joseph Richard Jr., and the heirs of John Avery. The sea was a source of transportation and livelihood for the Acadians. 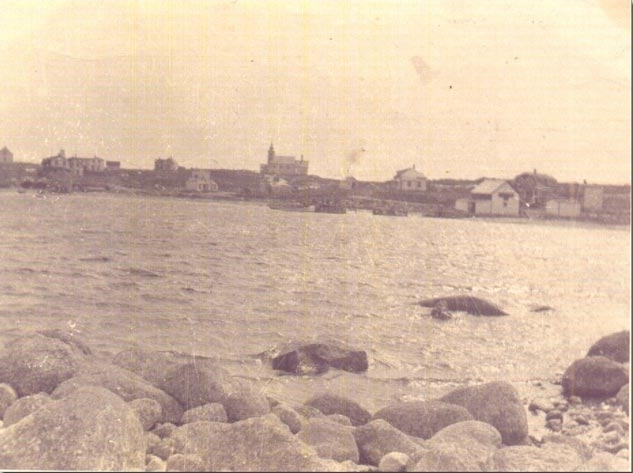 Charlos Cove was a fishing community, the centre of which is St. Joseph's Roman Catholic Church, which the families built in 1876. The first school house was built in 1879. There was a new 2 room school built in 1920, which has now been renovated and used as a parish hall. Surnames found in Charlos Cove were Richard, Avery, Fleming, Pellerin, Linden, Casey, George, Snider/Snyder.